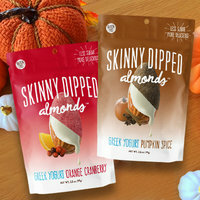 Limited-edition fall treats are popping up everywhere, and we are SO ON BOARD. 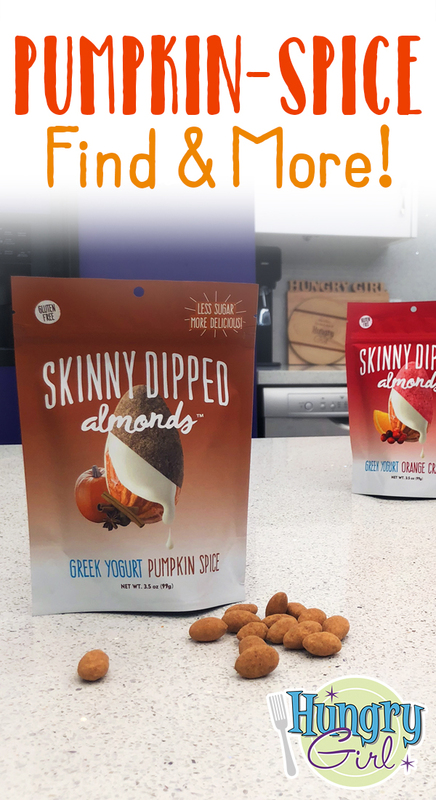 These yogurt-dipped nuts by Skinny Dipped are so unique that we can hardly handle it. They have HALF as much sugar as traditional yogurt-coated almonds, and the seasonably exceptional flavors ROCK. Find them exclusively at Target, but only for a limited time! We've been using Greek yogurt as a sour cream swap for as long as we can remember, and this new product makes that easier than ever. 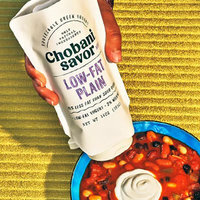 Chobani has packed its gloriously thick yogurt into large squeezable pouches, ideal for adding a cool 'n creamy finish to your favorite meals. Look for it in supermarkets nationwide, alongside fellow yogurt products. Don't cry, gluten avoiders: You can eat these dumplings! They're all-natural and entirely delicious. 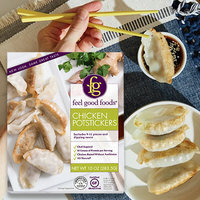 Whether you’re gluten sensitive or you just want to enjoy yummy potstickers in the comfort of your home, Feel Good Foods has you covered with Vegetable, Pork, and Chicken options. We're also crazy about the brand’s tasty taquitos and other offerings... Click to track ‘em down! And that’s all we’ve got. ‘Til next time… Chew the right thing! Happy National Cherries Jubilee Day, September 24th! Here's a healthy alternative you can enjoy any time of day: our Cherry Cobbler Parfait. Share these new finds! Click “Send to a Friend” now.